Do you want to know how to make PayPal money? With more than 250 million accounts worldwide, PayPal is one of the most popular payment platforms in the world. And, it’s not hard to see why. With quick payment processing, an easy to use interface, and it’s ubiquitous nature make it one the best payment platforms for anyone looking to make money online. Through PayPal, almost anyone can make money and get paid fast online. Since it is such a well-known platform, many companies, websites and individuals use PayPal as a payment method. So, if you want some fast cash in your PayPal account, then you have plenty of options to choose from. And no, I’m not talking about accepting PayPal donations, although that certainly is a good option depending on your individual situation. From freelance writing to watching videos, there are so many ways to earn PayPal money instantly – or almost instantly anyway! 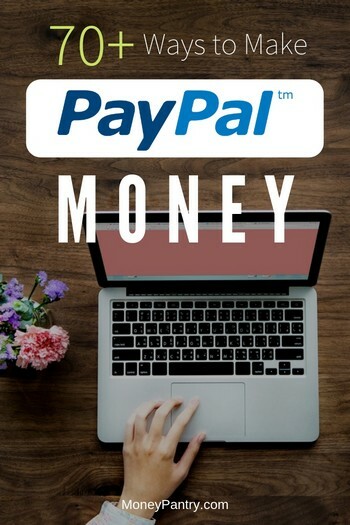 Let’s take a look at some of the easiest and most effective ways to make money through PayPal. Our number one method for making PayPal cash is to write and get paid! In return, you get paid. Write for content websites: These are websites that feature article requests. So you get access to a pool of articles and you can pick up the ones that you’re interested in. Then, the website will pay you a set rate. Write for private clients: A private client, such as a blog owner will post a job listing on a platform. Then, freelance writers can apply. The client chooses the writer that they want to work with. When the project is complete, the client pays the freelancer. Many websites and private clients pay freelance writers via PayPal. Freelance writing is one of those careers where earnings can vary wildly. Some freelances only earn hundreds a month, while others are making thousands. The client you’re working with – some clients pay ridiculously low amounts, so do be aware. The platform that you’re working on – some platforms simply have higher paying jobs and some charge fees for using their platform. How many articles or words you write per month. If you’re getting paid per word or per article, then the more you write, the more you’ll earn. Or if you get paid hourly, then, as with any job, the more hours you work, the more money you will make. According to figures from PayScale.com, the average income for a freelance writer is $24.03 an hour. Writers aren’t always paid hourly though – many are paid per word they write or per article. So, again, the amount you could earn per article could be as low as $5 or as high as $500. Here are a few places where you can find freelance writing work. We’ve included content websites, as well as platforms where you can get freelance writing work from private clients. UpWork is a platform where freelancers can find work from private clients. You don’t have to pay to set up a freelancer profile on there. However, when you do get paid by the client, UpWork will charge you a fee, which can range from 20% to 5%. Also, you’ll be charged $2 when you transfer your money to your PayPal account. You can sometimes find freelance writing work on Monster. The website is easy to navigate, so you can easily search for writing jobs on there. Search for freelance writing work on Indeed. You can find remote, at-home, freelance writing work on FlexJobs. On Textbroker, clients post article requests. You can write a wide range of pieces from product descriptions to blog posts. Also, clients can directly request articles from specific writers. Pay ranges from 0.7 cents to 5 cents per word. How much you earn is dependent on your quality rating. You can find work writing blog content with Verblio. You can get paid every Monday to your PayPal account. You need to submit an invoice to get paid. Pay starts at $10.50 for a 300 to 400 word post, and then after that how much you get paid varies based on word length. You can write posts that range from 300 to 3000 words. Boost Media is another place to find freelance work. You can write ad copy. Pay varies. Get paid to write articles at BKA Content. Payment is sent every to weeks to your PayPal account. According to the platform, most of its writers make $8 to $14 per hour, during the training process. After training, writers can average $12 to $18 an hour but can earn more than that. The company pays between 1.3 and 5 cents per word, depending on their writing level. You can write a wide range of pieces, such as blog posts, social media posts, meta descriptions, CVs, web pages and press releases. Get paid to write right to your PayPal account with Writers Domain. Pay depends on the star rating of your article. You get paid $12.25 for each 3 star article you submit. Four star articles pay $14.75. Five star articles pay $15.50. Currently, the website isn’t registering new English-speaking, North American writers. But, there is a wait list. So just fill out the form on this page, and Writers Domain will let you know when registration is open again. Earn money for writing with Writers Access. Pay varies from 2 cents to $2 per word. Freelancer is a similar platform to UpWork. You can find freelance writing jobs from private clients. Do you want to earn PayPal money by watching videos? This is such an easy way to get cash to your PayPal account! There are apps out there that will actually pay you to watch videos. How much you’ll earn will vary depending on factors like, which website/app you use, and how much you earn per view. Of course, this isn’t going to be as lucrative as something like freelance writing, but it is such an easy way to make money. One person on this Reddit thread said they’ve gotten $25 gift cards from Viggle, which is one of the apps that we mention below, and that they earn about $60 a month. One of the apps below states that people can earn from $1 to $100 a day by watching videos. Here are a few places where you can watch videos and earn money to your PayPal account. Perk TV is an app from rewards website and app Perk. With the app, you can earn points for watching app trailers, movie trailers and other videos. You can redeem your points in a variety of ways, including via PayPal. Download Perk TV for iOS devices here. Download Perk TV for Android devices here. This app, which is also from Perk, is focused on live TV and streaming. Basically, you check into any live TV or streaming program, on platforms like Netflix, Amazon Prime Video and Hulu and you will earn points. You can redeem your points for payment to your PayPal account. Download Viggle for Android devices here. Download Viggle for iOS devices here. When you watch videos on Watch2Earn, you can earn points. These points can be redeemed for money to your PayPal account. Get coins when you watch videos with Watch2Earn. You can redeem your points for cash to your PayPal account, or for gift cards. The app claims that you can make from $1 to $100 a day watching videos. Download Watch2Earn for Android devices here. Earn points when you watch trending videos and gifs and movie trailers. Your points can be redeemed for money to your PayPal account. Download Rewardable TV for Android devices here. If you speak more than one language, then consider working as a translator. Translators, as the name suggests, translate various documents and media from one language into another. You can find translation work online and many of the companies that offer work pay via PayPal. What’s great about translating work is that you can pick it up on a freelance or part-time basis. So you can easily fit this type of work into your schedule. On average, translators earn $20.11 per hour according to figures from PayScale. Of course, how much you’ll earn will vary depending on the client or the company that you work for. You can find work as a translator at the companies below. Translate a wide variety of documents, from blog posts to support tickets at Translate.com. You get paid per word to your PayPal account. At Unbabel, you can find work translating in a variety of languages, such as German, English, Simplified Chine and French. You get paid per hour, and payment is sent weekly to your PayPal account. How much you’ll earn will depend on factors, like your skills and the speed at which you translate. Tethras is a translation app. You can work with the company as a mobile app translator. It’s your job to translate mobile apps into different languages. Payment is sent to your PayPal account. Wondering how to make money online and get paid through PayPal? If so, then you might want to take on some transcription work. If you’re a good typist, then this is the job for you! As a transcriptionist, it’s your job to listen to audio files (this could be an interview, for example) and then type or “transcribe” what you hear. Once you’ve done that, you send off the document to your client or manager, and then you get paid. Below, we’ve listed a few transcription companies that pay via PayPal. How much you’ll earn as a transcriptionist will vary, depending on the company or client that you work with. According to figures from PayScale, you can earn anywhere from $7 to $25 an hour s a transcriptionist. Check out the following platforms. CastingWords hires freelancers to transcribe and to improve and edit transcripts. You get paid via PayPal, and only need to have a dollar in your account to withdraw your income. 1-888-TYPE-IT-UP pays very well. Pay ranges from 36 per audio hour to $180 per audio hour. You get paid twice per month on the 15th and last day of the month to your PayPal account. Earn at least $20 an hour as a transcriptionist at TranscribeMe. Average earnings per month are $250, with the top monthly earnings at around $2,200. Transcribe letters, phone call recordings, memos, conference calls, medical files and other audio files at Quicktate. You work as an independent contractor, which gives you a lot of flexibility when it comes to your working hours. You get 1 cent for every four words, or more for other types of transcription. You get paid via PayPal. Get paid to transcribe short audio files, generally just six minutes or less, at Scribe. There are monthly bonuses of $5 for every 3 hours of work completed. Pay is $5 to $20 per audio hour. And, a great aspect of working with the company is that you also get a monthly bonus of $5 for every 3 hours completed. Payment is sent via PayPal, and you can withdraw your earnings at any time. Get work as a medical or legal transcriptionist at Athreon. The company, which has been around since 1988, pays weekly via PayPal. It doesn’t say how much it pays. Get paid to transcribe with Transcribe.com. You get paid based on the projects you do, so pay can vary from tasks to task. Online, there are so many educational platforms that teach students, ranging from children to adults how to speak another language. And, these websites require teachers to conduct these classes. Since these lessons are carried out in an online classroom, you have a lot of freedom when it comes to your work schedule. For most companies, you’ll need to have some qualifications. If you plan to teach English, then you’ll need to have a TEFL certificate or a similar qualification. Also, you may need to have a degree. Just make sure that you take a look at the requirements for each individual place. How much you’ll earn teaching English or other languages depends on the company you work with. According to figures from PayScale, you can earn anywhere from $12.35 to $39.26 an hour as an ESL teacher. Average income is $20.26 an hour. With the companies below, you can get paid to teach languages to students. Make money teaching a language to students through Verbalplanet. Classes are taught through Skype. You can set your own hours and rates. Set your own price for lessons and teach students one on one with iTalki. On Glassdoor people report that they earn from $16 to $21 an hour as a teacher at italki. Earn $0.17 per minute, which works out at $10.20 an hour with Cambly. You can teach English to students, and no experience is required. Have a ton of books taking up space in your home that you no longer read? Or maybe you just got a new smartphone and your old one is just gathering dust in a drawer? Whatever it is, it’s likely that you have stuff in your home that you’d like to get rid of. That’s why selling your used stuff for cash is such a good idea. You Can easily sell your stuff both online and get cash for it. How much you’ll earn from your used stuff depends on a lot of different factors. One factor to consider is whether or not the website you sell through charges you a listing fee. Some websites allow you to list your items for sale for free. And, others require you to pay a listing. You’ll likely find that most websites tend to let you list stuff for free, but then they take a percentage of your profits. This percentage also varies, depending on the place you sell through. For example, some places might only charge 5% and others might take 50% of the profits. Most commonly though, you’ll find that commission fees sit at around 20%. Handily enough, you can get the money you make from selling your used stuff sent straight to your PayPal account! 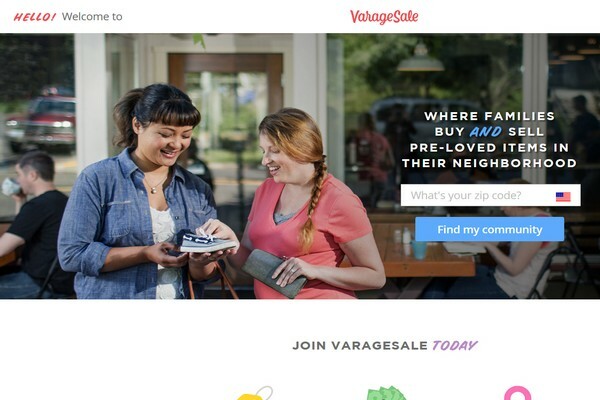 Check out these platforms for selling your stuff. Sell or consign used designer handbags with Bag Borrow or Steal. You get to keep 70% of the profits. Sell or consign designer items, like handbags on Yoogi’s Closet. Sell used books to Powell’s and you can get money to your PayPal account. Sell your used books directly to Cash4Books. Check out our Cash4Books review here to learn more about the platform. Sell your old phone, laptop, video games and other tech items on Swappa and get paid. Sell used electronics, such as iPhones, iPads and Samsung Galaxy devices at Gazelle. Sell everything from your table to your MacBook on Gizmogul. It’s another good place to sell your used tech items. Make a profit from your old CDs, games, DVDS, tablets, games consoles, phones and other tech items at Decluttr. Download Decluttr for iOS devices here. Download Decluttr for Android devices here. Website testers visit websites to see whether they work properly. It’s frustrating for a customer to visit a website where the links are broken, or the website just doesn’t work as it should. So companies hire website testers to check that their websites are working properly. As a website tester, you’ll need to visit a website and then provide your feedback on the experience. 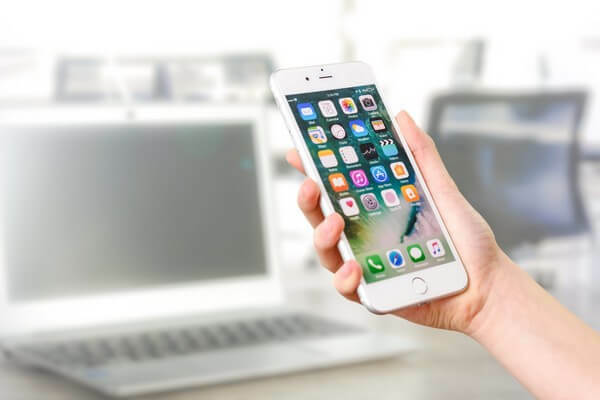 You’ll need to report on things like whether or not you encountered any errors, how easy the website is to navigate and whether there are any broken links on the website. Some of these website testing companies pay you through PayPal, so it’s a pretty easy way to make some extra cash. What you can earn testing out websites varies from place to place. Also, the number of tests you complete also impacts how much you can earn. You could earn anywhere from $3 to $20 or more per test. The companies below pay you money to your PayPal account for testing websites. Test out websites and get paid $3 per test with UserBrain. Test out websites and earn $5 to $10 per hour with UsabilityHub. You earn credits for each response, and then you’ll get paid $0.10 per credit earned. Test out website, apps and other digital content and get paid $5 to $20 per test with Userlytics. Some projects can pay as much as $90. Get paid $10 per test with UserTesting. Are you good at spotting typos? If so, then you might want to consider working as a proofreader. As a proofreader, you read texts to ensure that they are free from spelling errors, typos and grammatical mistakes. Proofreading work is quite varied, as you could be reading short blog posts one day and then full-blown novels the next day. There are many platforms out there where you can find work as a proofreader. And, many of them pay you via PayPal. On average, proofreaders earn $24.83 an hour according to figures reported on PayScale. Find telecommuting positions as a proofreader or editor at Scribendi. You will need to have qualifications, such as a university degree in a relevant field and at least three years’ of experience in editing, writing, document production, or language teaching. You can find freelance and at-home proofreading jobs on FlexJobs. Many clients and companies will pay you through PayPal. UpWork is a good place to find proofreading work. You can find work proofreading a variety of pieces from novels and blog posts. Find work as a proofreader with Freelancer. Do you know a lot about computers? Or perhaps you’re good at arts and crafts? Whatever it is, it’s likely that you’re knowledgeable about a topic. You could easily sell a course online about the topic of your choice. The course can include a range of different mediums, like presentations, videos and articles. This Reddit user claims to make $550 a month with Udemy. Felicia Ricci earns $3,000 to $5,000 a month selling courses on Udemy. Of course how much you earn will depend on a wide range of factors, such as how many courses you sell, how you price your course, and the commission you make from the sale. The following platforms allow you to get paid to your PayPal account when you sell courses. Udemy is an online education marketplace. You can list your course for sale on the platform. Another platform where you can list your course for sale in on Teachable. Create and sell an online course on WizIQ. Get paid to your PayPal account when you sell courses with Coggno. Create and host courses on your own branded website with Thinkific. You don’t need to have any technical skills, but you can get a great looking website. A final option is to sell through your own website. You can list your course for sale on there, and integrate PayPal payments into your websites, so that customers can pay for your course via PayPal. When you sell on your own website, you get to keep all fo the profits from your course. A domain name: So you just need a URL, which you can get for a reasonable price from a company like Bluehost or GoDaddy. Hosting: You need to pay a company to actually host your website. Bluehost offers domains and hosting together, so it can be a good option. A publishing platform: You’ll also need a pace to post your content. WordPress is a good option. If you’re wondering how to get free PayPal money fast and easy, then join rewards websites. This is a very easy way to make some extra cash. As we all tend to do these types of tasks anyway, rewards websites do provide one of the easiest ways for making a little beer money. And, what’s great about these platforms is that many of them pay you through PayPal. Each rewards website pays differently. Many of them pay in points as well, which have a monetary value when redeemed, making it a little more difficult to give exact figures when it comes to earnings. Also, how much money you earn per task can vary even across the same platform. Swagbucks: With this popular platform, there’s the potential to earn $30 to $125+ a month, according to people’s income reports on Reddit. Perk: Earn $30 to $120 a month, according to reports on this Reddit thread, and this one. If you join a few different rewards websites and earn on all of them, then you could easily make $100s of dollars in PayPal cash each month. Below, we’ve listed some of the best rewards websites that pay through PayPal. Get paid for completing super easy tasks, such as playing games, watching videos and shopping online. Swagbucks pays you in points, known as Swag Bucks, or SB. You can redeem your points for cash to your PayPal account. Download Swagbucks for Android devices here. Download Swagbucks for iOS devices here. Check out our Swagbucks review to learn more about this app. Earn points when you complete easy tasks, such as watching videos and answering trivia questions at Perk. You can redeem your points for cash to your PayPal account. Check out our Perk review to learn more. Download Perk for iOS devices here. Download Perk for Android devices here. Get paid to check your emails, compete offers, shop online, play games, take surveys and complete other easy tasks with InboxDollars. With InboxDollars, you get paid to complete tasks, like checking emails, completing offers, shopping online, taking surveys and playing games. Download InboxDollars for iOS devices here. Download InboxDollars for Android devices here. Do tasks like shopping online, playing games and taking surveys and EarnHoney will give you points. You can redeem your points for money to your PayPal account. Download EarnHoney for Android devices here. Read our EarnHoney review to learn more about this app. Try out apps, compete offers, take surveys and do other easy tasks, and Gift Hunter Club will pay you. You can get your cash to your PayPal account. Rebate apps give you money back when you go shopping. These apps can get you cashback on your groceries, as well as many other items. All you need to do is upload a photo of your receipt, and you’ll get cashback. With some of these apps, you can upload pretty much any receipt and get paid. For others though, you might need to purchase specific products. So for example, there might be an offer on a certain brand of frozen pizza, so you purchase the pizza featured in the offer, upload a photo of your receipt and you’ll get paid. Many rebate apps pay through PayPal, so it’s a really easy way to add a little extra money to your account. You have to go shopping anyway, so why not make some money while you’re there? Let’s take a look at some of the best rebate apps that pay through PayPal. You’re not going to get rich from rebate apps, but you can easily save a few dollars each time you shop and get those savings sent right to your PayPal account. Check out the apps below. They all give you PayPal cash instantly when you shop. Ibotta (review) pays you for receipts but works slightly differently to other ones on this list. All you need to do is browse offers in the app, select the ones you want before you go shopping, buy the item featured in the offer, and then upload a photo of your receipt. When you upload a photo of your receipt, Ibotta will give you a rebate. You can get your rebate cash sent to your PayPal account. Get cashback when you upload a photo of your receipt with Shopmium. Handily enough you can get rebates on a variety of different items, such as groceries and cosmetics. Upload any itemized receipt, and ReceiptHog will give you rewards. You can redeem your rewards for money to your PayPal account. SavingStar gives you rebates when you upload photos of your receipts. When you do your shopping through a cashback website, like Ebates, you get a percentage of your spending back. Now, not all cashback websites offer PayPal payments, but plenty of them do, and we’ve listed them below. So take a look and get your money back each time you make a purchase online. As with rebate apps, with cashback websites, it’s hard to give an exact figure for how much cash you will earn. You’re not going to get rich with these websites, but you will make a profit on something that you already do – shop online. Below, we’ve listed shopping portal websites where you can earn money to your PayPal account. With Ebates, you can get up to 40% cashback when you shop online. And you can get that cashback sent right to your PayPal account. There’s a $10 bonus available when you first sign up. Download Ebates for Android devices here. Download Ebates for iOS devices here. Download the Ebates browser extension here. At TopCashBack can get you cashback sent right to your PayPal account. Download TopCashBack for Android devices here. Download TopCashBack for iOS devices here. Earn between 8% and 10% cashback when you shop through Mr. Rebates. There are more than 2,500 stores and brands to choose from, such as Dell and Walmart. Download Mr. Rebates for Android devices here. Finally, another option to consider is taking surveys. They’re not the most exciting option, but taking surveys is an easy way to make some extra cash. And, since you don’t need to block out huge chunks of time to take surveys, you can easily take them while watching TV or while waiting at the dentist’s office, taking surveys is also a very flexible way to earn. Also, surveys don’t require any qualifications, meaning that pretty much anyone can do them. How much you’ll earn really does depend on the websites that you use. Each website pays differently, and even the amount you earn per survey may differ for the same company. Our advice if you really want to maximize the amount that you make from surveys is to simply join as many survey websites as you can. The more survey websites you’re signed up for, the more surveys you’ll be eligible for. So join multiple websites and take multiple surveys on each one. Doing this, you can easily add $200 to your PayPal account each month. Check out the following survey websites. Get rewards when you give your opinion with Qmee. You get paid via PayPal. Download Qmee for Android devices here. Download Qmee for iOS devices here. Download the Qmee Chrome Extension here. Give your opinion on the products you buy, the services you use and the places you visit and iPoll will pay you via PayPal. Download iPoll for iOS devices here. Download iPoll for Android devices here. Get points when you provide your opinion on brand’s products and services with Toluna. You can redeem your points to cash to your PayPal account. Download Toluna for iOS devices here. Download Toluna for Android devices here. Do you have a gift card for a store that you never shop at? Make money from your unwanted gift cards by selling them. It really varies. It depends on the original value of your gift card, whether the site you’re selling through takes a commission and what percentage of the value of the card you get when it sells. Check out these places and sell your unwanted gift cards. List your gift card for sale on Raise and make a profit. The platform takes a 12% commission fee when your gift card sells. Enter some details about your card and CardCash will give you offers for the card. If you like the offer, you can accept it and make a profit from your gift card. Visit CardCash, and then enter a few details about the card that you want to sell. Offload your unwanted gift cards on GiftCardBin and get paid via PayPal. As you can see, there are plenty of ways to make money through PayPal. So if you’ve been wondering how to make PayPal money, give one of the above options a try! So I just go to one of the webmaster websites and post something? There are a few ways to do it. You can either go to the forum and contact forum members who are looking for writers, or you can post an ad in the ad section of the forum. Please is this survey real to earn on PayPal. How much do you have to earn to cash out? Depends on the site you are working with. Some have a minimum requirement of $5, some $10, and some more. It depends on the client and their needs.